In the summer of 1994, when Molly Brodak was thirteen years old, her father robbed eleven banks, until the police finally caught up with him while he was sitting at a bar drinking beer, a bag of stolen money plainly visible in the backseat of his parked car. Dubbed the 'Mario Brothers Bandit' by the FBI, he served seven years in prison and was released, only to rob another bank several years later and end up back behind bars. 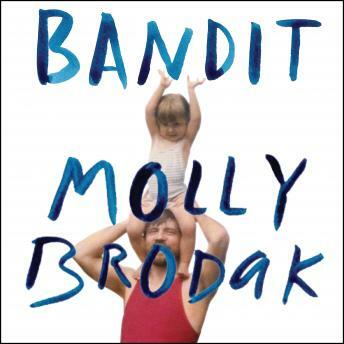 In her powerful, provocative debut memoir, Bandit, Molly Brodak recounts her childhood and attempts to make sense of her complicated relationship with her father, a man she only half knew. At some angles he was a normal father: there was a job at the GM factory, a house with a yard, birthday treats for Molly and her sister. But there were darker glimmers, too-another wife he never mentioned to her mother, late-night rages directed at the TV, the red Corvette that suddenly appeared in the driveway, a gift for her sister. In Bandit, Brodak unearths and reckons with her childhood memories and the fracturing impact her father had on their family-and in the process attempts to make peace with the parts of herself that she inherited from this bewildering, beguiling man.